Because the total voting percentage was less than 10% needed for acceptance of the bylaws, they will go to the ACM EC for approval. The results of this vote will be announced in the coming days. ACM SIGGRAPH is the international Association for Computing Machinery's (ACM) Special Interest Group on Computer Graphics and Interactive Techniques based in New York. 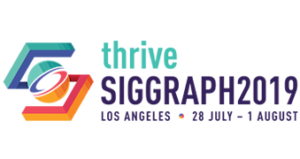 ACM SIGGRAPH convenes its annual two annual conferences, SIGGRAPH and SIGGRAPH Asia, which are attended by tens of thousands of computer professionals. The organization also sponsors other conferences around the world, and regular events are held by its professional and student chapters in several countries.